Among the half a billion children who live in India, there is big section who subsist in abject poverty. 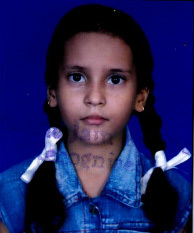 Those who have never been to school or drop out early take to begging on the mean streets and are often vulnerable to all kind of exploitations. Despite a whole lot of advancement in addressing issues related to various communicable diseases, people of India still suffer from all kind of fatal ailments, especially those spread by unhygienic living conditions. At the end of life we will not be judged by how many diplomas we have received or how much money we have made. Not even by how many great personal achievements we have made. We will be judged by "I was hungry, and you gave me something to eat, I was naked and you clothed me. I was homeless, and you took me in." 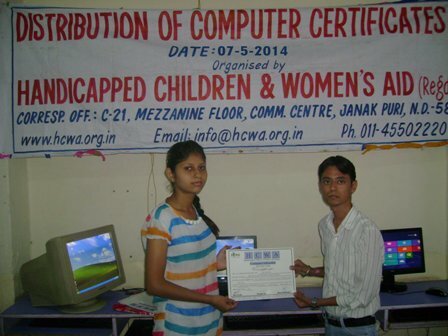 HCWA is the dream of Ritika and Vinay Kumar, who started out on this venture in 2004 along with a few relatives and friends. Their mission was to help underprivileged children and women in distress. The endeavour got officially registered as an Indian Non-Governmental Organization under the Society Act in 2004. We appreciate your interest and hope that you will open your hearts and donate to better the lives and futures of those in need. If you have any questions before you donate please do not hesitate to contact us. We treat personal information with the utmost respect for your privacy. "I have been a part of HCWA for about 18 months now. They are completely committed to their children and I admire this attitude. I applaud their endeavor in investing in children, who are the future of our country. 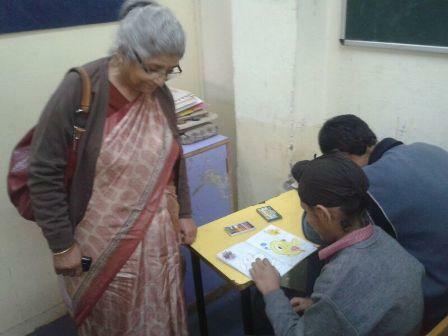 They not just provide quality education to disabled children, they also groom them into responsible citizens of India,"